Minimal, lightweight and standing for ultimate comfort, the 2000 Air Presto helped birth an innovative era of footwear that spread across nearly every category for Nike. 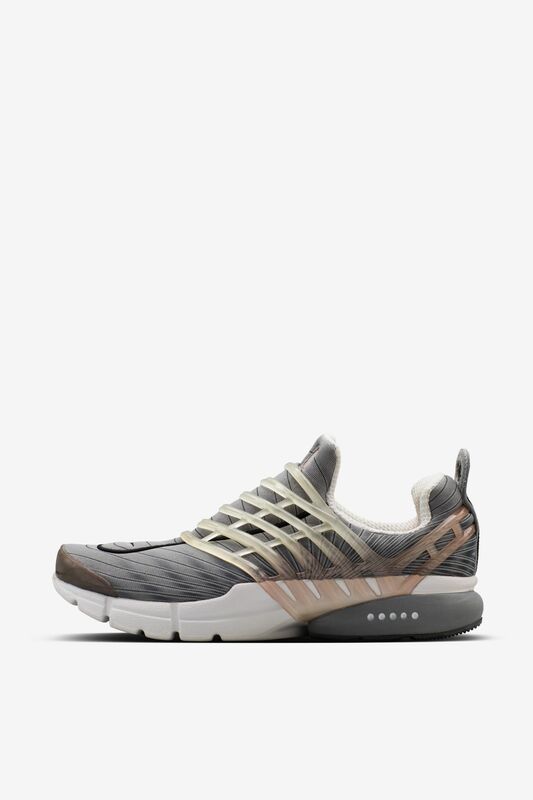 The design language established by the originator has led to the development of a training version of the Presto and even a slip-on design geared towards basketball post-game wear. Below, Sneakers presents a look at a few of the most influential Presto styles across the years. 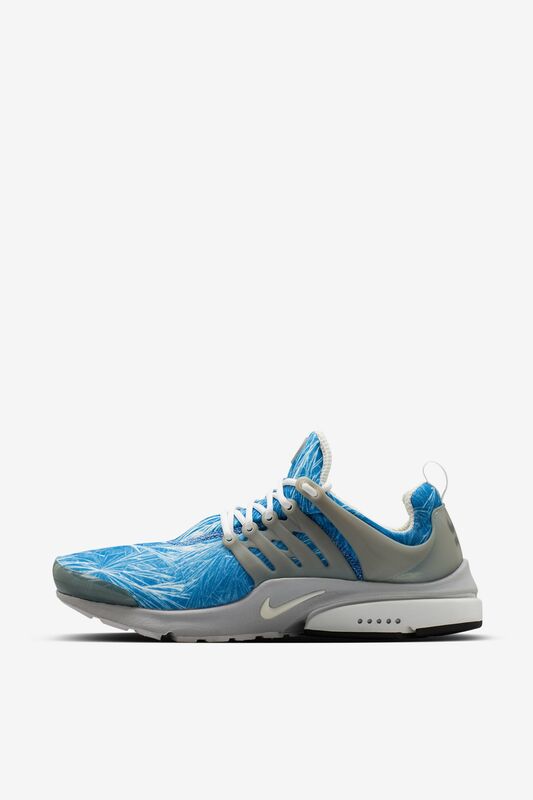 While the use of prints on sneakers dates as far back as the 1983 Air Aloha, digitally-printed graphics weren't possible until the arrival of the Air Presto in 2000. The runner was introduced in a selection of graphic-covered styles, including the 'Abdominal Snowman' edition. Representing another stage in the evolution of the Air Presto, the Air Presto Chanjo takes the slip-on idea even further. 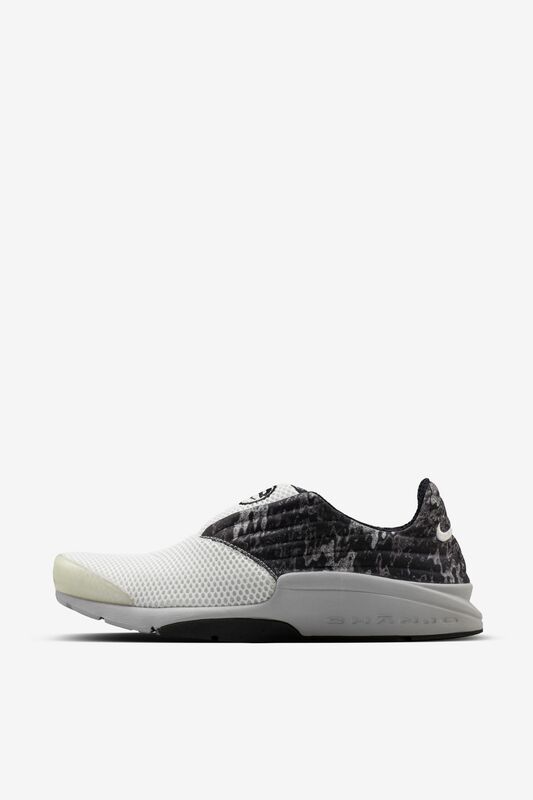 The key piece eliminated from the design is the TPU cage, leaving a lightweight mesh and neoprene upper that hugs your foot for non-stop comfort. 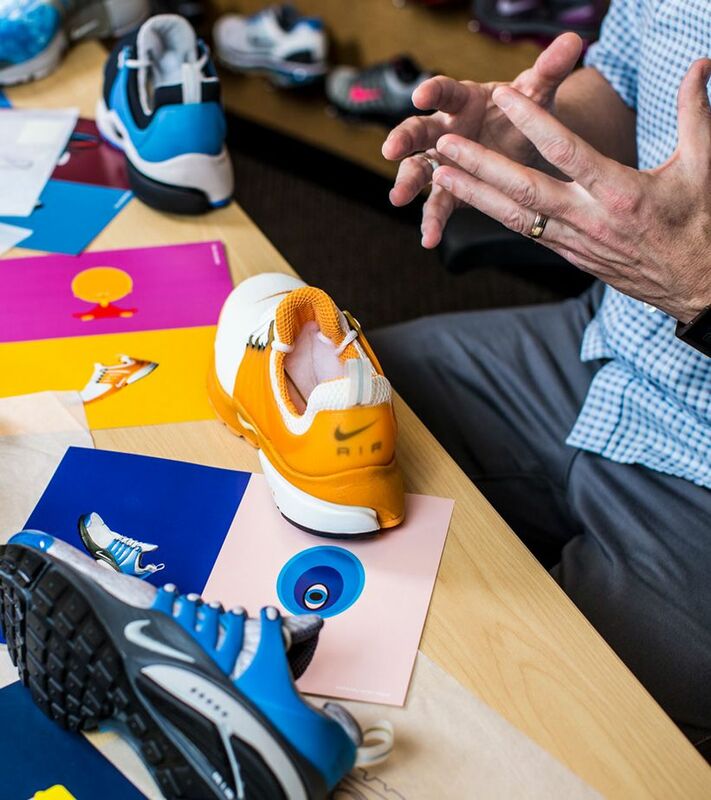 The idea behind the Air Presto was eventually everywhere, including the world of basketball. 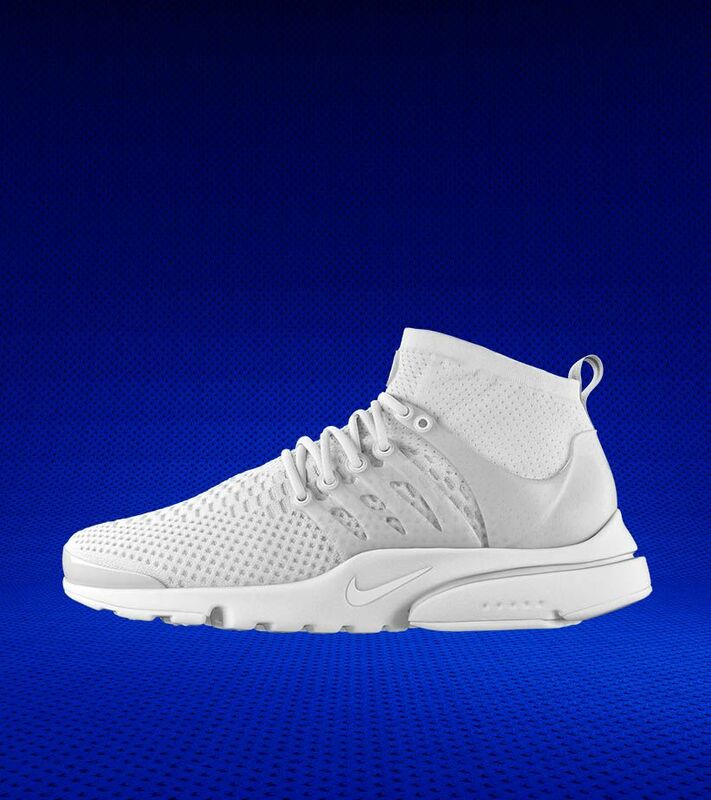 The Air Presto Cage continued the franchise's laceless language with a design geared for basketball post-game wear. Suited for quick recovery, the shoe is built with a plush slip-on upper and a striking TPU cage across the midfoot. The Air Presto Roam represents Hiroshi, Tinker and Mark's take on the innovative concept. 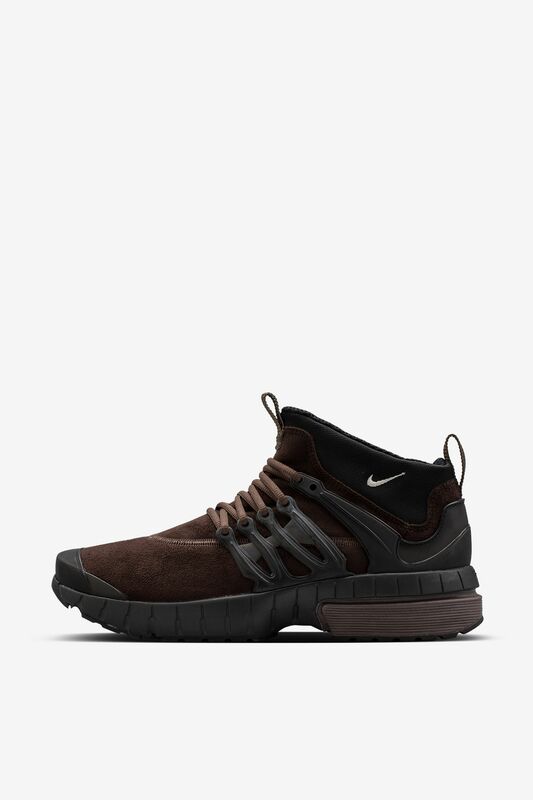 A boot-like version of the Air Presto, the HTM Air Presto Roam was introduced in 2002 with a limited run of just 1,500 pairs available worldwide. The Air Presto Faze introduced a new take on the natural ride-focused silhouette. Laces are lost and lockdown is provided by a lightweight TPU cage that extends all the way across the top of the foot. 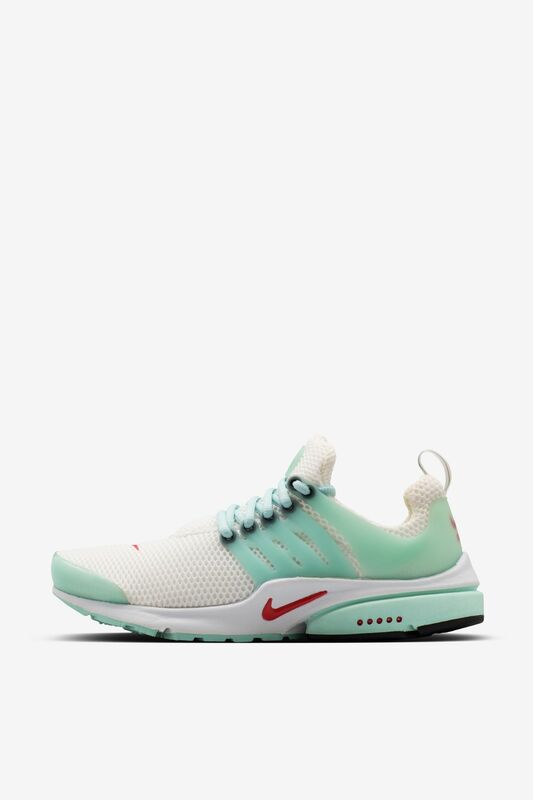 Built for gym activities, the Air Presto Gym evolved the traditional Presto design language. 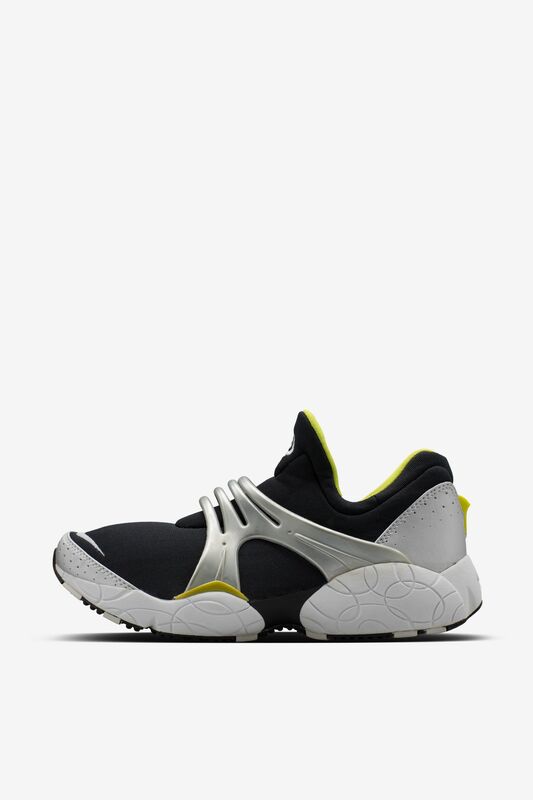 The gym edition features a reinforced sock-like upper with a new take on the Air Presto's TPU eyestay. Added overlays in the forefoot provide additional support and lockdown. 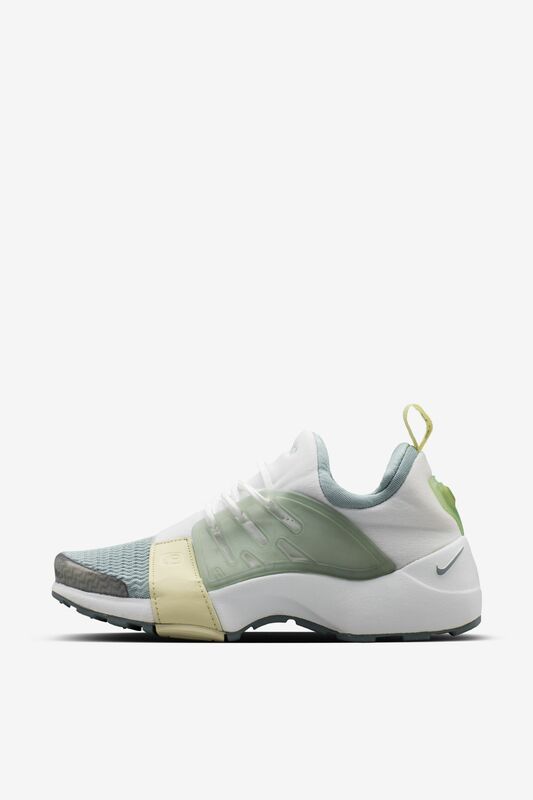 Now, the Presto family grows with the most innovative take yet on the enduring design concept. The new lifestyle-driven iteration comes to life with a lightweight, form-fitting Nike Flyknit upper. 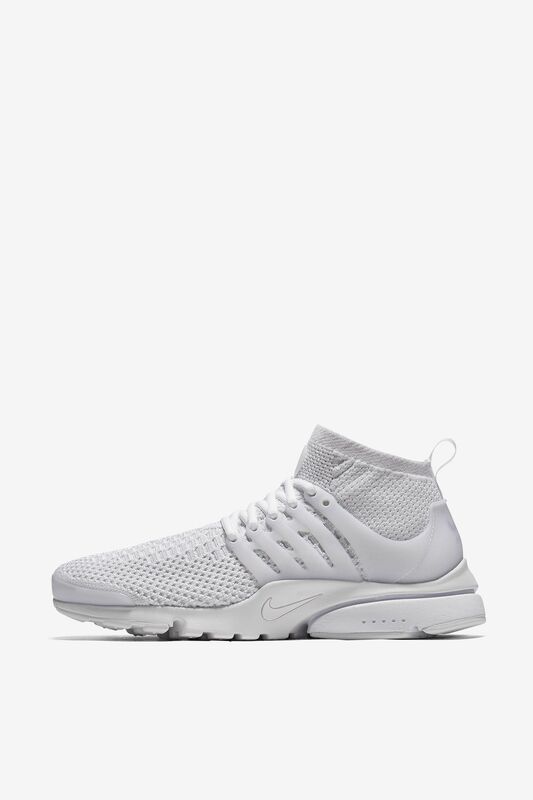 The Air Presto Ultra Flyknit is also the lightest in the lineage thanks to a redesigned upper and a new, cored-out Nike Ultra sole.